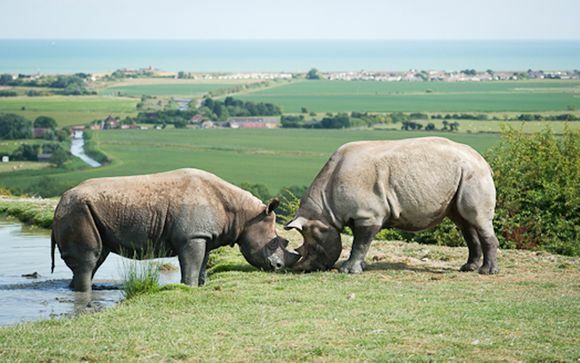 Just for you: unlimited entry into Port Lympne Reserve and Howletts Wild Animal Park. Elephant Lodge is situated in the 100 acre wilds of the African Experience, located in Kent right here in the UK. A remarkable array of exotic animals are found here, free to roam as if they were in their natural habitat. Enjoy a multi-award winning VIP safari experience in England. Regular evening activities include walking tours of the park with a keeper and evening safari tours when the park is closed to the public. This offer is based on an Elephant Lodge. 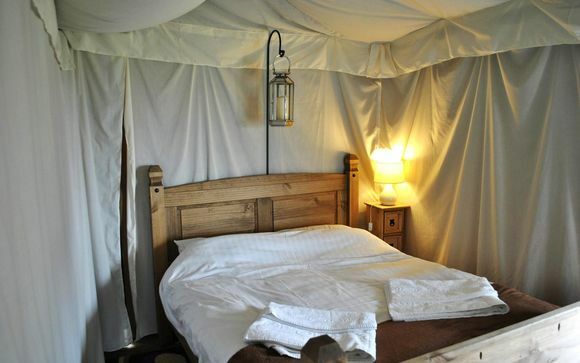 Elephant Lodge is the perfect experience for those looking for a unique 'glamping' holiday. 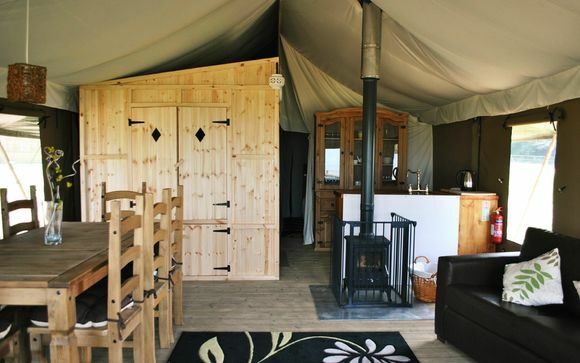 Each of the luxury tented lodges sleeps up to eight people in two double bedrooms, one double sofa bed in the living area and bunk beds in the twin room. The Elephant Lodge site is situated overlooking the Reserve and offers stunning views of the cheetah enclosure and across the Romney marsh to the Kent coastline. For families with younger children, you can keep an eye on the kids while relaxing on the verandah of your tent by the play area. Enjoy waking up to a delicious continental breakfast every morning. Come lunch or dinner, the central Club House restaurant in Elephant Lodge caters for all tastes with its extensive menus. If you are travelling via car and prefer to use a Sat Nav please use Post code CT21 4LR. If you are attending an event at Port Lympne Mansion, Port Lympne Hotel, Livingstone Lodge, Pinewood or Treetop Hotel please use CT21 4PD to direct you to the Orchard Car Park within the Port Lympne Reserve.